Ron Spinabella Jr - All about Ron and his journey to becoming a SEO icon. Ron Spinabella Ron Spinabella Jr. is an expert in the digital marketing and SEO industry. Ron is a serial entrepreneur. My name is Ron Spinabella and I’m in the digital marketing field. I started out my career in the eCommerce space selling niche products through several different web channels. After struggling to beat my competitors and getting sick and tired of paying google to advertise, I found SEO! SEO and Digital Marketing have changed my life! I have learned how to effectively promote websites high in Google Search. This allows me to gain more exposure to potential clients and gain new clients by helping them with their SEO needs. Everybody is on the internet these days, even the older crowd. Your business needs to be able to compete in a digital world and SEO is the way to do it. Nowadays the SEO crowd says CONTENT IS KING, but Bill Gates said that in 1996. Content is great and you have a great chance to rank your page high with quality authoritative content. With great content you also have to have great technical SEO skills to optimize your page onsite and offsite for the best rankings. Ron grew up in the Chicagoland area and went to St. Francis de Sales school from Kindergarten to 8th Grade. After that he went to High school at Lake Zurich High school in Lake Zurich, Illinois. Ron finished his education at Eastern Illinois University in Charleston, Illinois. At EIU he studied Corporate Communication and Business Administration. Ron goes to lots of SEO Seminars and is a graduate of Gotch SEO Academy, taught by Nathan Gotch, the king of SEO. 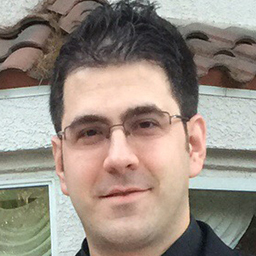 Ron Spinabella Jr. is the founder of Spinabella SEO, a digital marketing and SEO firm in Las Vegas, Nevada. He helps small to large businesses with all of their Digital Marketing needs. Ron has been in the digital marketing space for over 10 years. He originally learned SEO shortly after he started his first eCommerce business. Contact Ron now if you are interested in having him take a look at your website and showing you what you need to increase your organic internet presence.